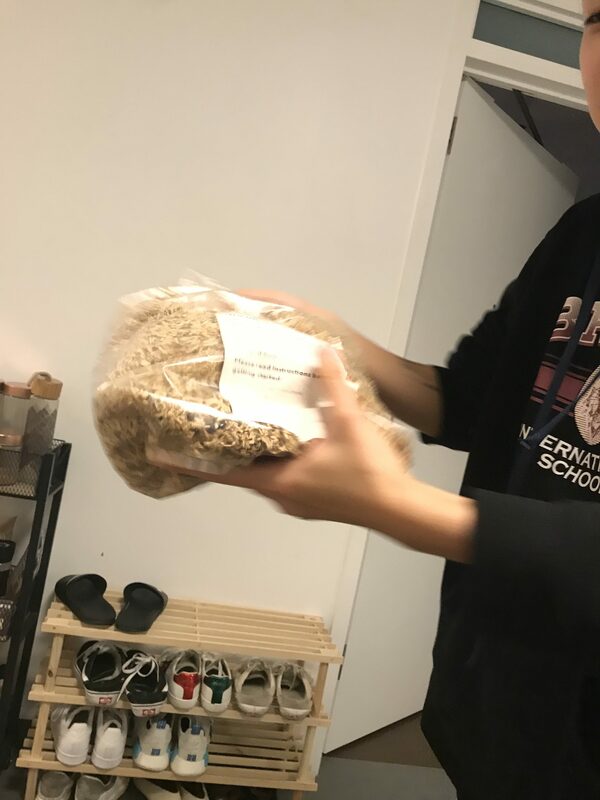 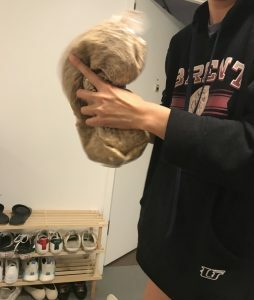 As a class, half of our classmates were assigned to do the mycelium experiment and the other half were assigned to carry the kombucha experiment. 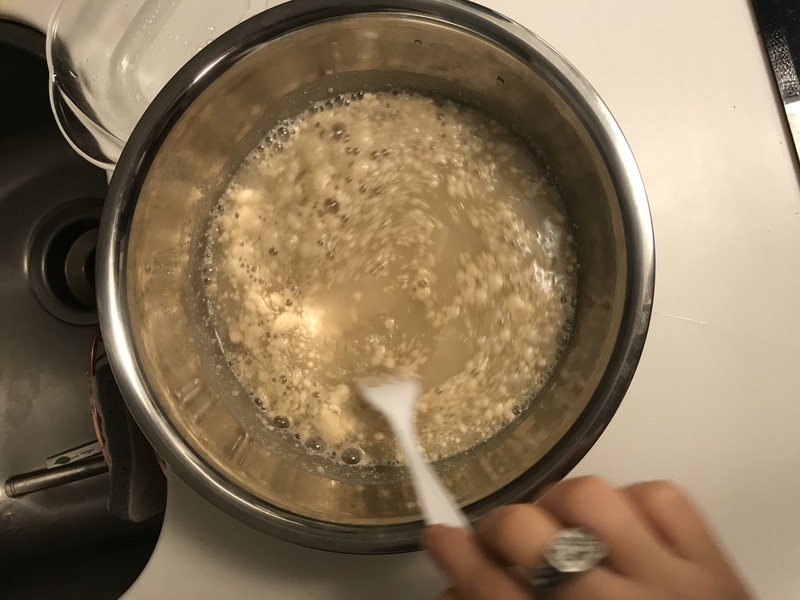 This was assigned to carry out the experiment at home. 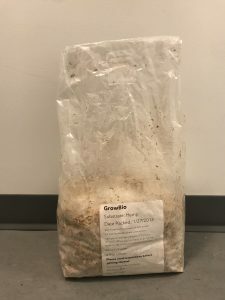 The mycelium kit provided with flour, gloves, hemp substrates. 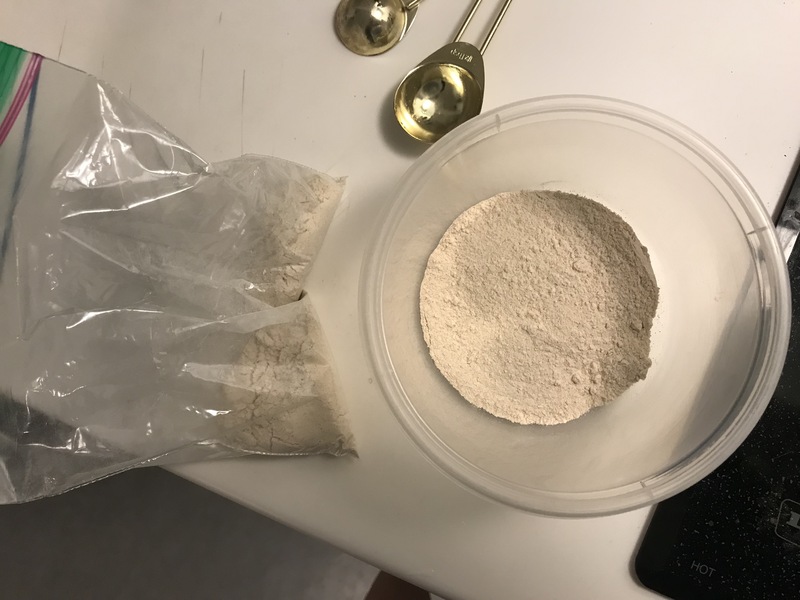 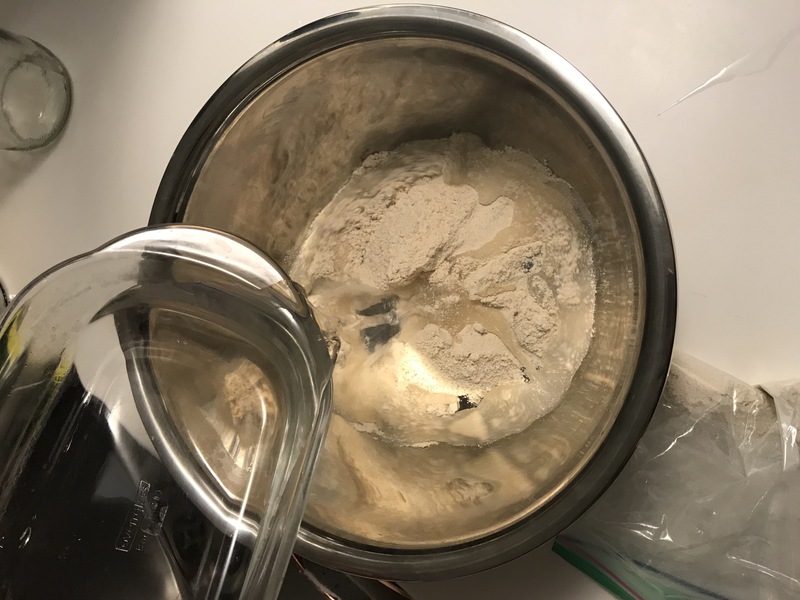 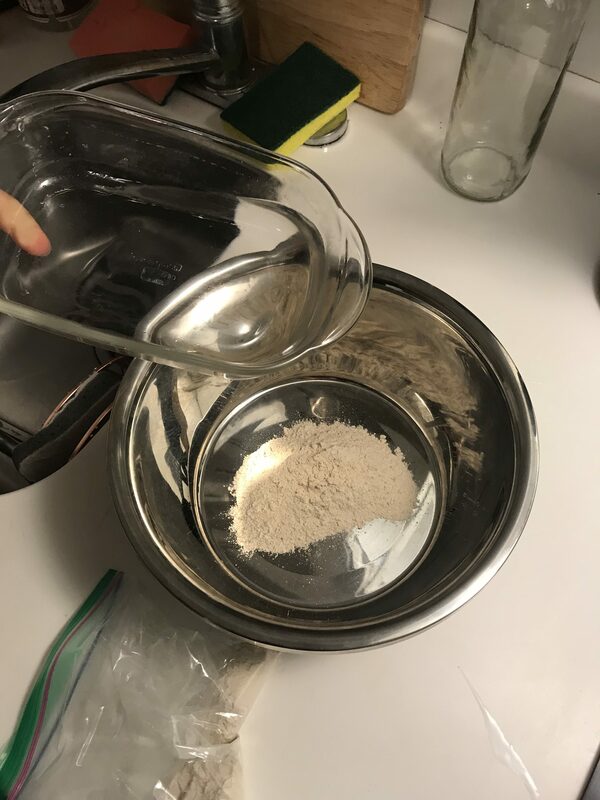 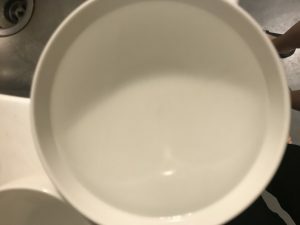 Shown in the process photos below, I mixed flour and water to form theconcoction for the mycelium. 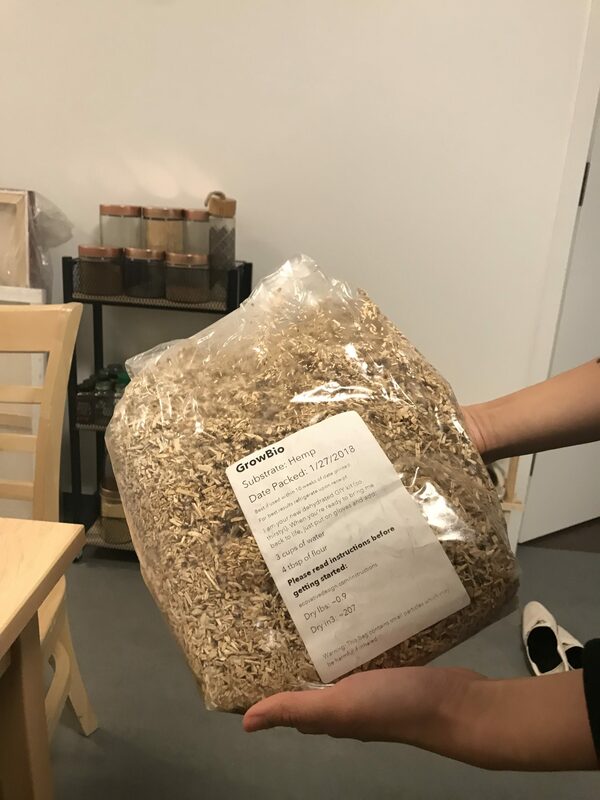 After pouring the mixture into the plastic bag of hemp, I shook the bag of hemp for 1 minute as the directions stated. 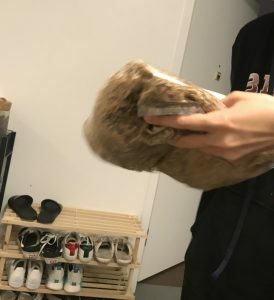 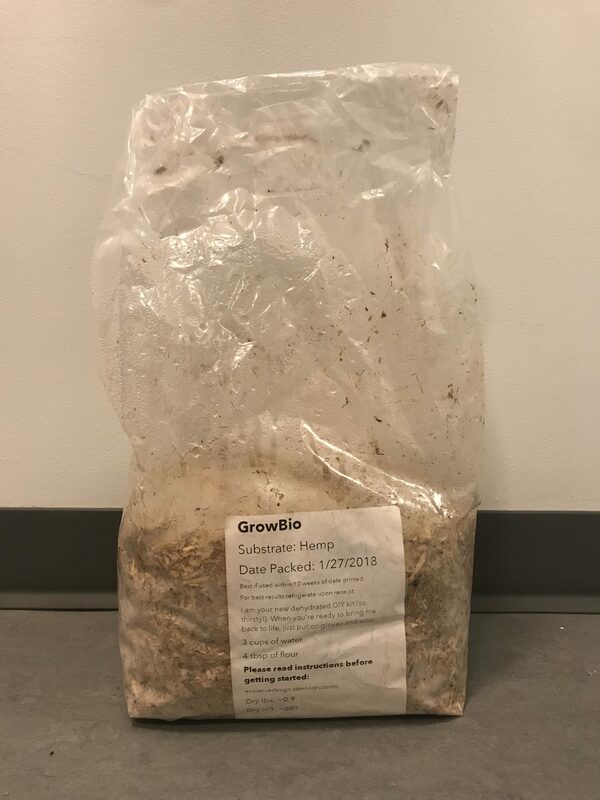 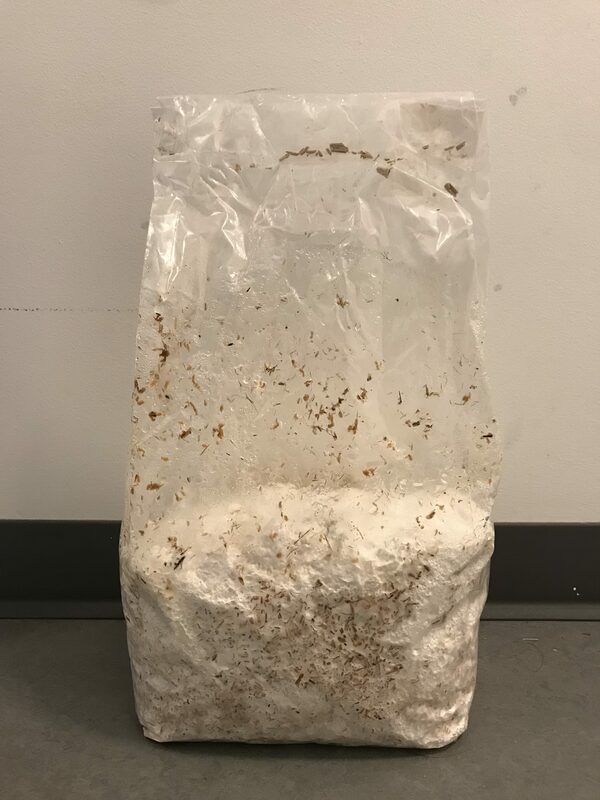 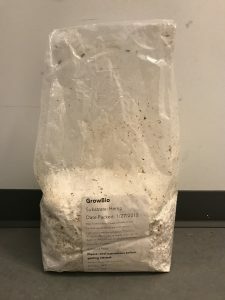 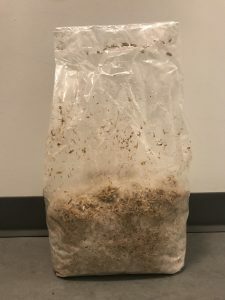 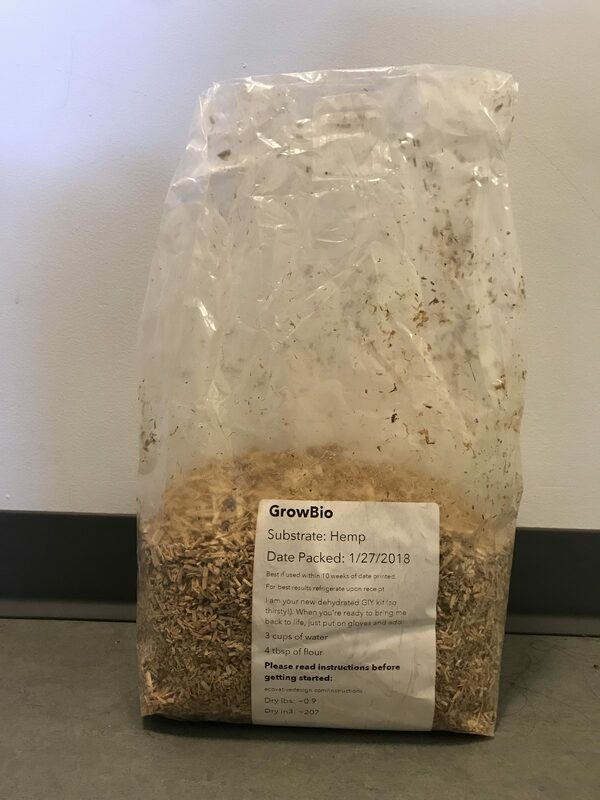 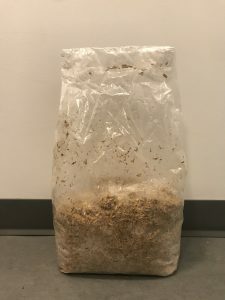 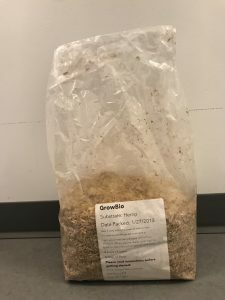 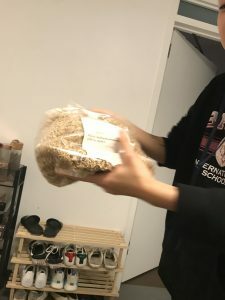 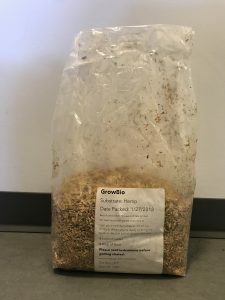 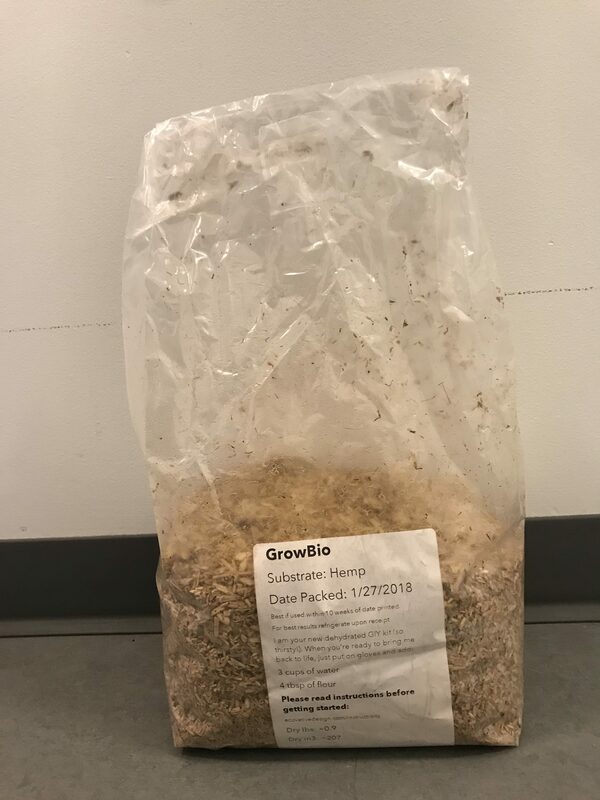 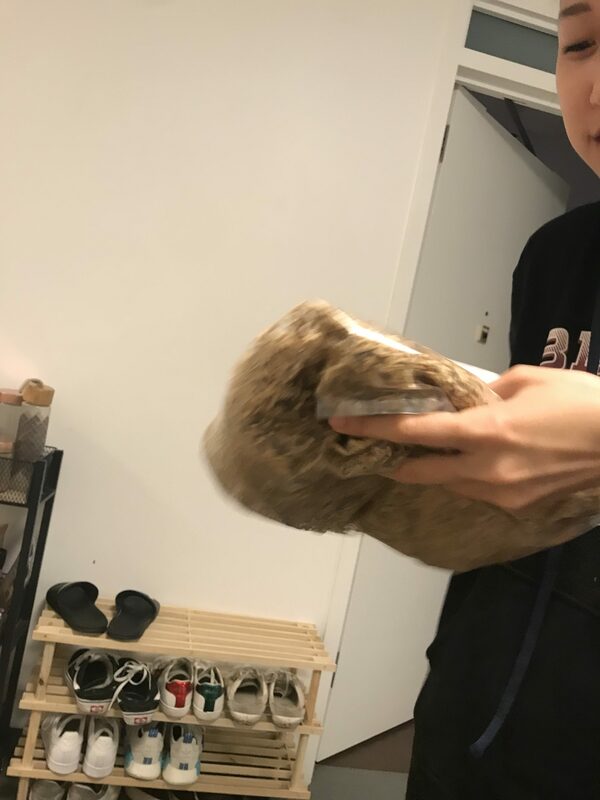 As a result, seeing the mycelium from a soft, brown state to a solid white form was amusing to see the mycelium as a replacement for the harmful resources we use. 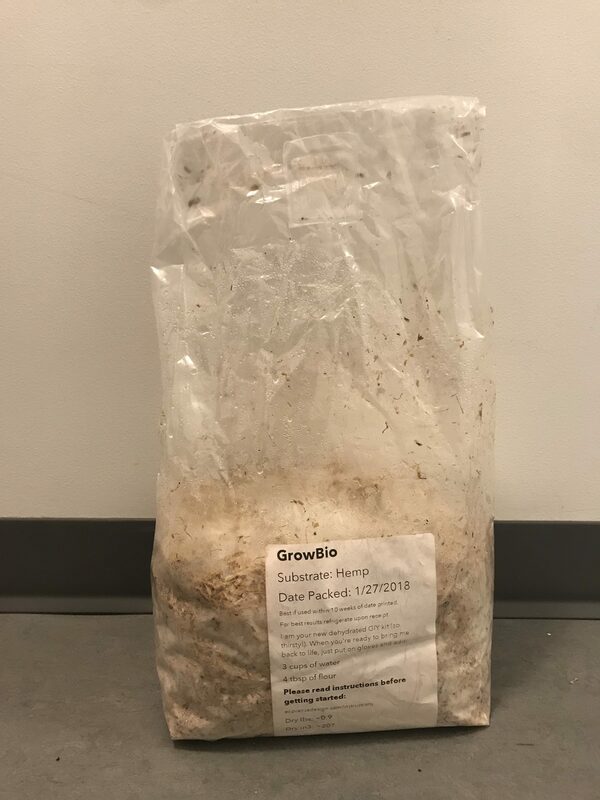 This experiment took a full week to see the brown hemp become fully covered with the white mycelium.